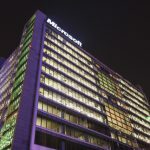 Microsoft (MSFT) and the Shanghai Copyright Bureau have jointly held a forum to begin cooperating to find and destroy bootleg operating systems and software installed on wayward computers in Shanghai. At the meeting, Microsoft gave a meticulous explanation about the background of its operating system and office software to the officers of the Shanghai Copyright Bureau, which hopefully further improves their capabilities in identifying genuine and pirated software throughout the city. Targeted at the copyright infringement in China's software market, the law enforcement staff of the Shanghai Copyright Bureau have recently taken a series of actions in Shanghai's major computer markets, including Pacific Digital Square and Cybermart. Over these actions, the bureau found many companies and stores that illegally pre-installed and sold the operating system software of Microsoft and confiscated a batch of computers with the pre-installed pirated software, effectively protecting the legitimate rights and interests of enterprises and consumers. The Administration for Industry and Commerce of Shanghai says that the illegal pre-installation of pirated Microsoft software, including Windows XP, Windows Vista and Microsoft Office, has become a common phenomenon in the PC market and the methods and means are also increasingly diversified, which seriously harms the interests of relevant companies and consumers. The administration hopes the communications between Microsoft and the copyright bureau will help to raise the capabilities of law enforcement officers, intensify the crackdown on copyright infringement behaviors and promote the healthy development of China's software industry.